■Outfit: `M.BIRDIE / Yeriel look Gacha @The Arcade Gacha NEW! ■Elf: Mutresse – Naughty Elf Gacha @The Arcade Gacha NEW! ■House: Scarlet Creative – Highlands Gacha @The Arcade Gacha NEW! 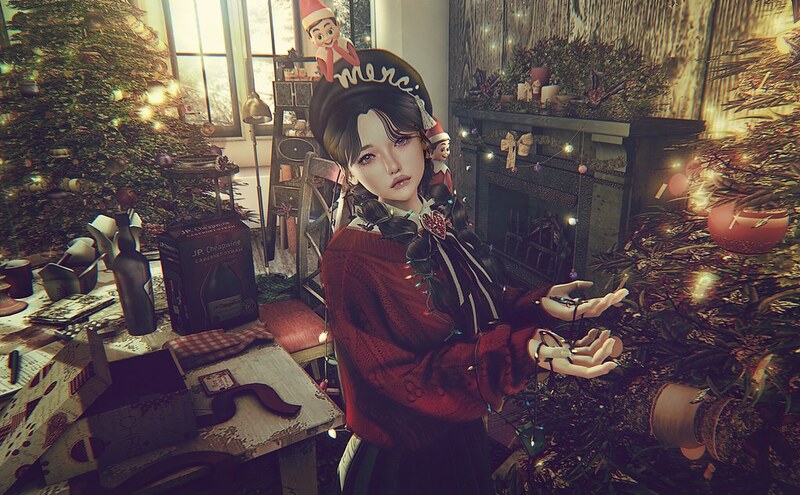 ■Festive Joy Set: The Looking Glass TLG – Our Festive joy Gacha @The Secret Affair NEW! ■Table Set: -DRD- My Miserable Holiday Set @Tannenbaum NEW!